Cars, amusement parks and liquid laundry packs all have one thing in common. Dangerous or defective product liability claims. Filing a product liability claim means holding manufacturers, designers, assemblers, installers, distributors and/or sellers of products liable for personal injuries suffered as a result of a defective product. 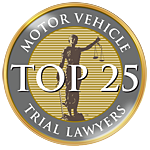 Most companies will try to unfairly settle compensation claims for those who have been injured. A Swiss Re study indicated that in 2013 the United States had the largest commercial liability insurance market in the world both in premium volume ($84 billion) and as a percentage of Gross Domestic Product (0.50 percent). Mark Parrish recently secured compensation for two young fathers who suffered traumatic brain injuries from the same defective indoor water slide.